The article states that since 1980, more than one hundred studies have been conducted in the United States, U.K. Taiwan, Sweden, Norway, France and Japan to explore how people read and comprehend on paper versus screens. 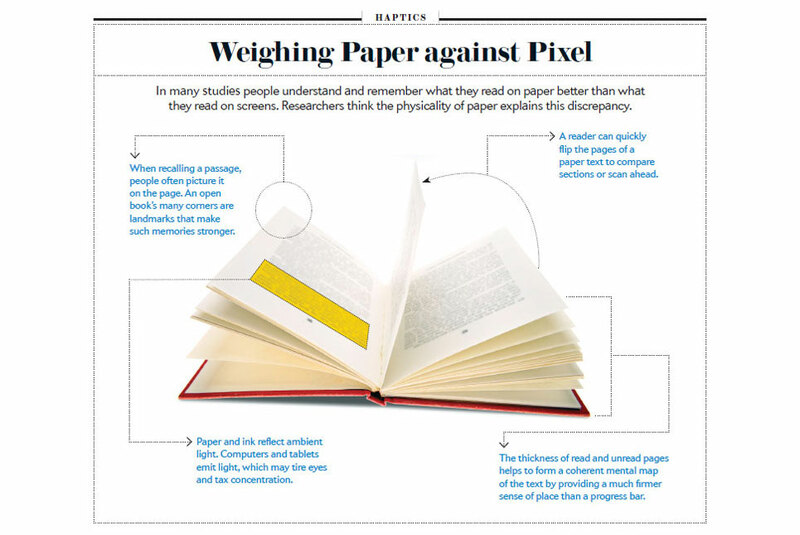 Overwhelmingly, the studies conclude that readers prefer real paper over its electronic counterpart and achieve higher levels of comprehension and retention with paper. Do you prefer to read on paper or screen? Multicolor Printing knows a lot about papers. After all, we’ve been making quality products with paper for nearly 50 years! More importantly, we offer an unmatched variety of in-house production methods to insure your budget and creativity will not be limited including Offset Printing, Digital Printing, Letterpress Printing, Large-format inkjet Printing, Embossing, Foil Stamping and Die Cutting.